Beesenstedt Castle is located in the town of Beesenstedt, Germany, about 200 km (125 miles) southwest of Berlin. By car it takes about 2.5 hours from Berlin. The city of Halle (by the river Saale) is about 23km away. If you are taking the route through the small town of Wettin (when coming from Berlin for example), you have to take a little ferry to cross the river Saale for a small fee (€1,50). The ferry operates from 6am to 10pm and runs every few minutes. Fly into one of the Berlin airports, take public transport to the Berlin Hauptbahnhof and from take the Camp’s Shuttle Bus to Beesenstedt. If you are not taking the shuttle bus, you can also go to the closest bigger city called Halle(Saale) by train or rideshare. You could also fly into Leipzig-Halle Airport and take a train from there to Halle. The shuttle bus going to Beesenstedt departs approximately 4:00 PM on Friday September 14th from Berlin Hauptbahnhof (HBF) (Central Train Station).It is a normal bus that will have a Balboa Castle Camp sign in the bus. Company name is “Busverkehr Geißler GmbH”. 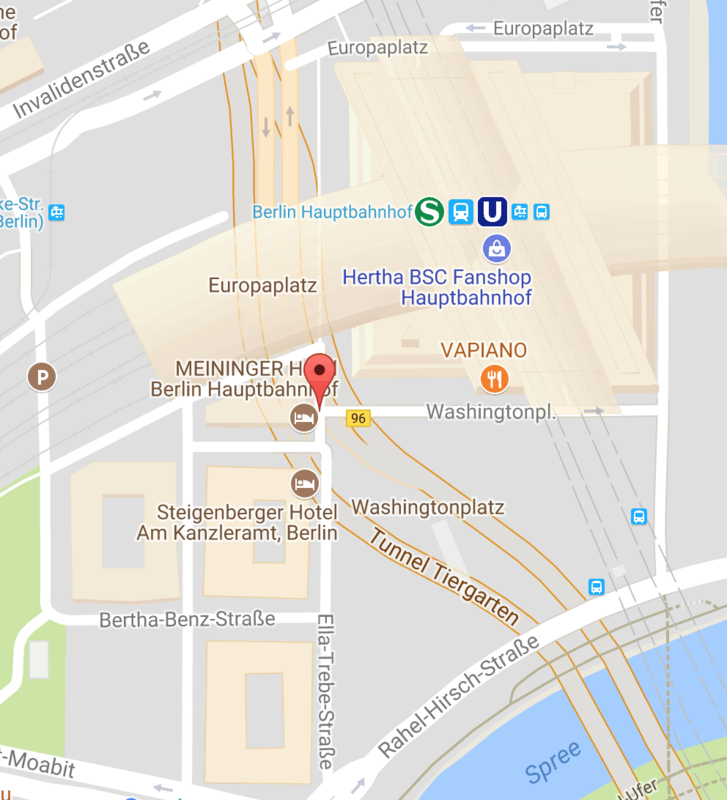 If you are planning on taking this bus, make sure you arrive in Berlin with enough time to get to Berlin Hauptbahnhof before the bus departs. You should plan at least 2 hours time between your flight arrival and the bus departure. (Time for baggage claim and travel from the airport to the Berlin Hauptbahnhof). The bus from Tegel Airport to Hauptbahnhof takes 20 minutes. The S-Bahn (Train) from Schönefeld Airport takes anywhere from 40 to 60 minutes. The cost for the roundtrip shuttle bus from Berlin is €60. Find the central bus station (ZOB), which is in walking distance from the central train station. From there, take the bus 306 from Halle (direction Friedeburg) to ‘Beesenstedt Schule, Salzatal’. The bus only leaves a few times during the day. Ideally you take the 15:30 or 17:30 one directly to Beesenstedt. The latest bus leaves Halle at 20:35. We will also have a shuttle between Halle and Beesenstedt for €10 per person per one way trip. Shuttle leaves Halle at 19:00 on Friday 14th of September. We will also have a shuttle service between Beesenstedt and Halle for €10 per person per one way trip. Shuttle leaves Beesenstedt on the 21st of September at 10:30. The journey takes around 45 minutes to Halle central station. There will be a shuttle bus going from Beesenstedt Castle to Berlin on Friday 21st of September at 10:00 AM. The bus will stop at Schönefeld airport at around 1pm and at Tegel airport at around 1:45pm. From Tegel airport it will continue and arrive at Berlin Hauptbahnhof at approximately 2:15 pm. If you are catching a plane on Monday, make sure there is a little bit of buffer time between the arrival of the shuttle and your departure in case there is a delay due to traffic. You can find train info and prices here.